The Professional Women in Building Council (PWB) is a select group of residential building professionals who share strategies and solutions to promote, enhance and support professional women in today’s home building industry through education, networking, mentoring and legislative awareness. Founded three years ago, the PWB council is passionate about meeting the needs of current and future female members of the Home Builders Association of Metro Portland. Join us today and help shape the future of the PWB, including forming social activities, advocacy issues on which to focus, refining council goals and participating in existing Home Builders Association events. Council membership is only $85 and can be easily added to your existing Home Builders Association membership. Open to all Home Builders Association members. Contact the Home Builders Association office at (503) 684-1880 to join today. 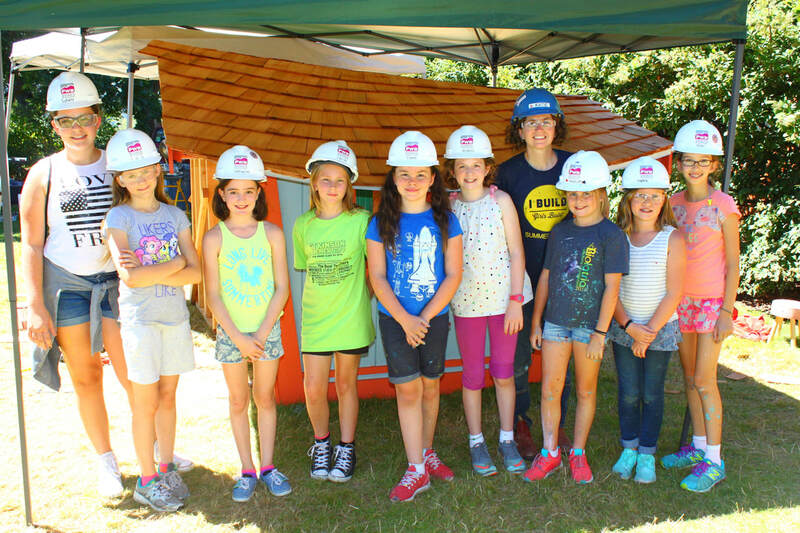 Throughout the year, PWB raises funds to support Girls Build, a local non-profit organization dedicated to putting tools in the hands of girls, and letting them explore the world of building and fixing. Each summer, Girls Build hosts summer camps that allow girls to explore hands-on building activities with other girls. They explore hammering, painting, soldering copper, concrete, roofing, electrical and much more, all with girls their age, and taught by female instructors. Over the course of each week, girls build a playhouse from start to finish. This year, the playhouse was auctioned off at the NW Natural Street of Dreams to support the Girls Build scholarship fund.